Welcome to the last day of MFT’s April Release Countdown!! Tomorrow is the day! Release is at 10am Eastern so be sure to stop by the MFT Blog today for all the details. 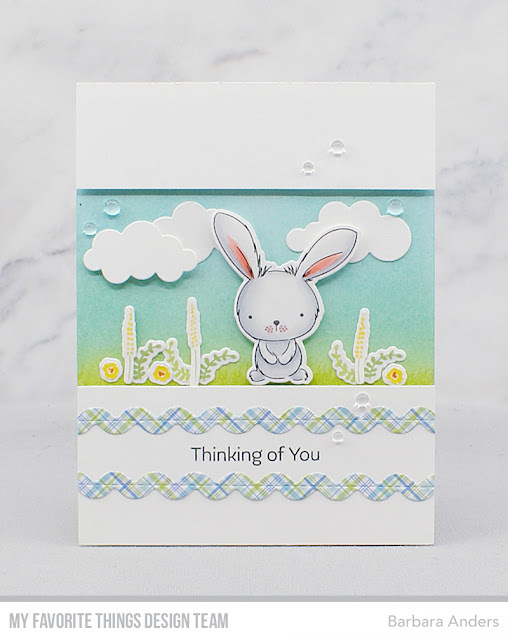 Today we’re previewing Sweetest Somebunny Stamp Set, Sweetest Somebunny Die-namics, Stitched Ric Rac Die-namics (Free with $60), and Fishtail Flag Trio Die-namics. Look at that little bunny face!!! Isn’t it completely adorable??? And Stitched Ric Rac Die-namics?? Are you kidding me??? I love it so much!!! 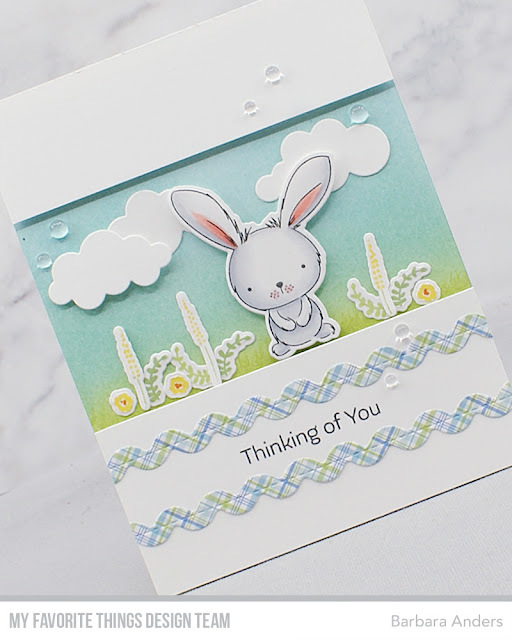 To create my card, I sponged the background on Strathmore Bristol Smooth paper with Berrylicious and Sour Apple dye ink and also stamped the little grass image for some subtle detail and adhered it to a Sweet Tooth card stock base. Then I cut my card front panels, also from Sweet Tooth card stock, stamped the sentiment, adhered Stitched Ric Rac Die-namics above and below, then popped the panels up on foam tape on the base. Then I stamped the images, cut them out with the coordinating Die-namics, the bunny was colored with Copic markers, and all were adhered to the sponged area either directly or with foam tape. To finish off I added some Puffy Clouds Die-namics and some clear rain drops. And there you have it for Day One of MFT’s April Release Countdown! Release is tomorrow at 10am. See you back here tomorrow for the April MFT & Friends Feature. Adorable!! I love the ric-rac at the bottom! The bunny is perfect! Now we do share a love in this amazing Rick rack die. Can't wait to get it. Lovely job! Awesome release! Awesome creation! I love the plaid ric rac!